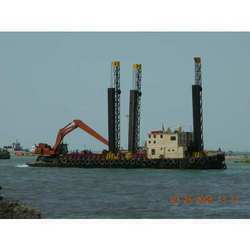 We have made foray into Marine Repairing and Maintenance Service. We provide these services with the help of sophisticated machinery and highly qualified and experienced engineers and technicians. These services are provided purely as per customer’s requirements and specifications that too in a very competitive price. 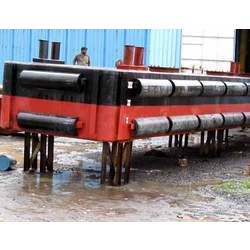 We are one of the leading manufacturer and exporter of Spuds with Hoisting Arrangement for dredging Pontoons, fabricated from superior quality of raw materials. The dredging starts only after spuds are lowered to fix the vessels at a specific location. Some of the features of these spuds are precision functionality, durability, corrosion and chemical resistance. Known for its long service life, these are made in our state of the art production unit with international quality standard. We are indulged in providing specialized Marine Maintenance & Repairs. 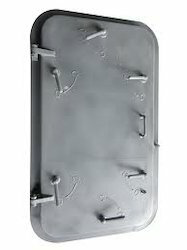 We supply Prefabricated Manholes (Deck FlushType) , Booby Hatches, ladders, Quart Nozzle , Air Vents and other outfitting works on board ships. Our supremely experienced professionals use only the finest quality materials and follow all IRS Class requirements during fitting of these pre-fabricated products along with Fabrication (Plate Renewal), piping and outfitting works on board ships at Sea. Kort nozzle (ducted propeller), is a propeller fitted with a non-rotating nozzle. It is used to improve the efficiency of the propeller and is especially used on heavily loaded propellers or propellers with limited diameter. 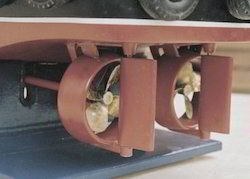 The Kort nozzle is a shrouded, propeller assembly for marine propulsion. The hydrodynamic design of the shroud, which is shaped like a foil, offers advantages for certain conditions over bare propellers. Advantages are increased efficiency, better course stability and less vulnerability to debris. Downsides are reduced efficiency and course stability when sailing astern and increase of cavitation. Ducted propellers are also used to replace rudders. 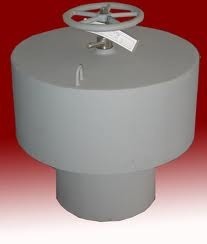 Mooring bollards are seldom exactly cylindrical, but typically have a larger diameter near the top to discourage mooring warps (docklines) from coming loose. 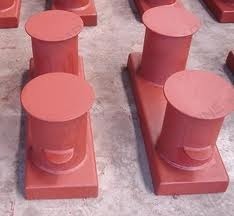 Single bollards sometimes include a cross rod to allow the mooring to be bent into a figure eight. Pipeline Crossing Bridge is used for Crossing from the River. We have manufatured it for one of the leadinng clients as per their requirement and suceded in the quality required within the scheduled time frame as we have done the Fabrication and the Erection. IndiaBull Power Project SINNAR Throught Dharna River Pipeline Crossing Bridge. 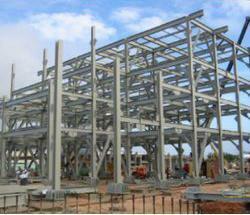 Fabrication, Blasting, Painting, Assemble, Launching and Erection. 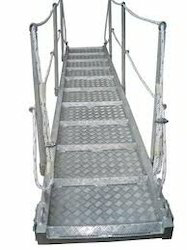 We are one of the leading manufacturers and suppliers of the wide assortment of Berthing Pontoon. 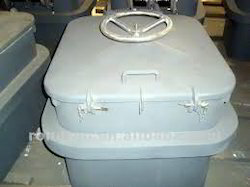 Fabricated from high grade raw materials such as longitudinal & three transverse bulkheads, these are used to keep the ships away from jetty by Indian Navy. These easy to install pontoons are prepared in 8 water tight compartments to have superior sea worthiness. The pontoon is covered with neoprin rubber fender by all sides to avoid any damage to ships and jetty. Some of the attributes of these pontoons are reliability, durability and long service life. 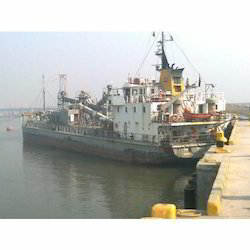 We at Seven Star Engineers & Fabricators, undertake all kind of Repairs of Ships with Aluminium Body. Our high grade welders are qualified enough to successfully undertake repairs of aluminium ships with material grade of 5083 that too under the ever watchful supervision of third party inspection. We provide repair works at eighter on the slipway/Dry Docks or at MBPT for underwater /above water works. Seven Star fabricated blowers cover an extensive line of styles and models used for a wide range of air/gas services in industrial, commercial, institutional and municipal applications. The three basic designs are standard overhung SOH (impellers mounted on extended motor shaft), four-bearing overhung 4BOH (impellers mounted on shaft coupled to motor shaft) and four-bearing outboard 4BOB (impellers mounted on shaft supported at both ends by self-aligning ball bearings, coupled to motor shaft). We offer a wide range of damper, blower & dust collector products to suit many applications. Each contract is reviewed in accordance with our accredited quality system to ensure that every product is designed to meet the client’s specific requirements and operating conditions. 1. 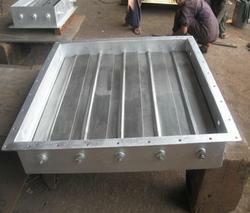 Mild Steel Blowers with epoxy painting. 3. 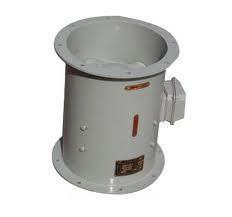 SS Blowers (Stainless Steel Blowers made from SS-304.